Circumstances are difficult for everyone on the island of Lesvos. We have been grateful to live alongside many understanding and welcoming Greek neighbours. But there is still, inevitable distance between the different communities on Lesvos. 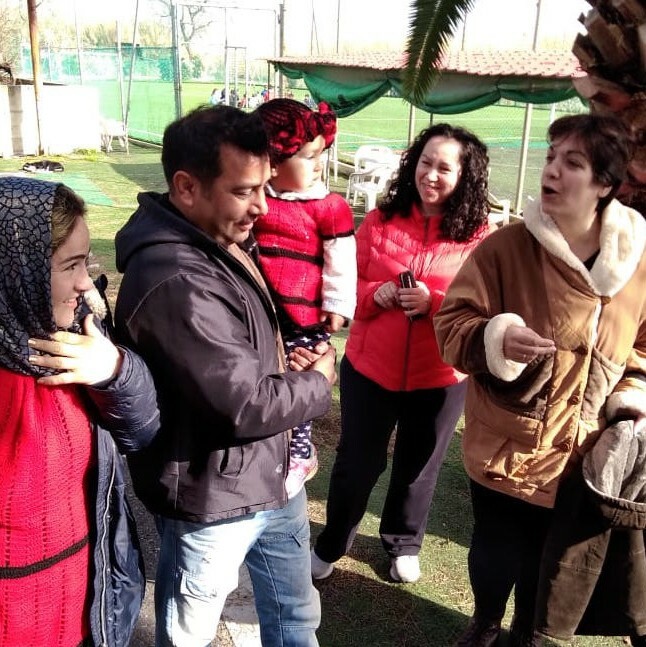 At Movement on the Ground we believe there is a way to build bridges between our Greek hosts and newer residents arriving from different parts of the world. For this reason at Kara Tepe - the refugee camp where we operate and implement our Camp to CampUS philosophy - we like to make our activities open for everyone to enjoy. 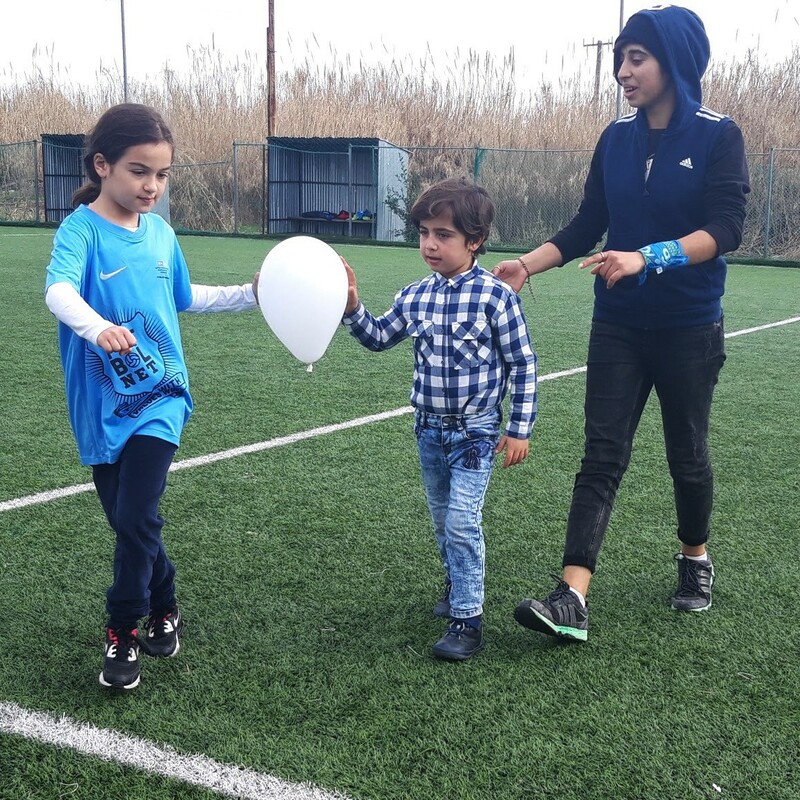 On Saturday we were really encouraged to see Greek children take part in our Football classes with children from Kara Tepe. FutbolNET sessions, which our coaches host regularly, use real life-scenarios to discuss important values with children - this week the focus was on teamwork. 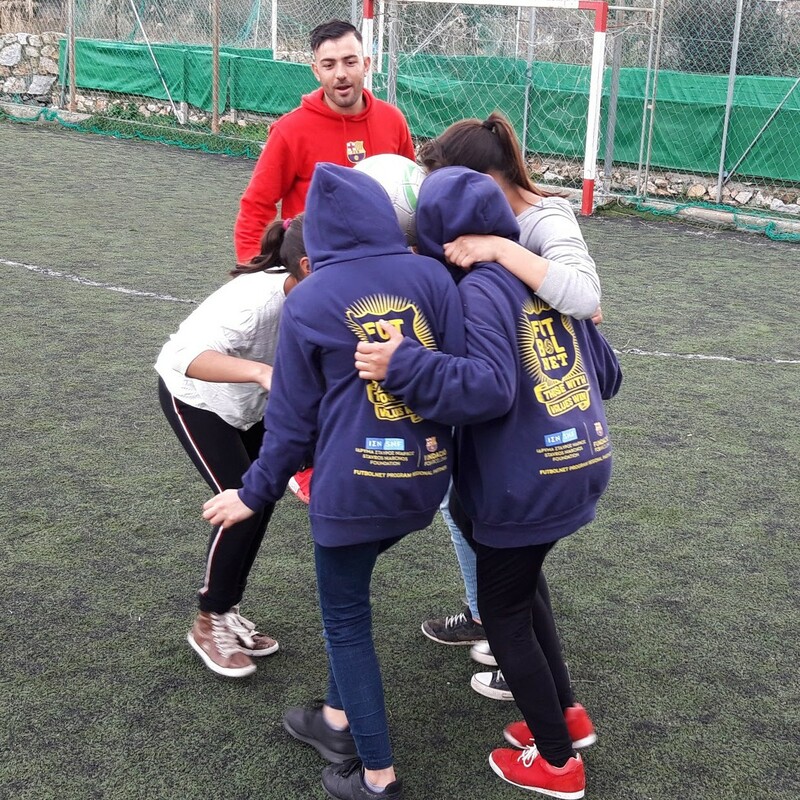 The children from the different communities shared examples of teamwork with eachother, before taking part in games which needed them to work together to win. While the children played together, the event also created an opportunity for parents from the different communities to meet. Tirza our Sport Coordinator was there on Saturday and was very happy to see this gathering take place. “Afterwards the parents met together around a table of food, prepared by the residents of Kara Tepe. They exchanged cultures and met each other in a positive way”. At Movement on the Ground we believe mutual understanding between different cultures is all about communication and interaction. We hope to see more of this in the future! You can learn more about our FutbolNET sessions and how we use them to teach children important values here.